Hoa Binh – March 27th, 2019, 50 volunteers from Seoul Guarantee Insurance (SGI) in Korea joined a teambuilding housing construction project of Habitat for Humanity Vietnam (Habitat Vietnam) in Cuoi Ha Commune, Kim Boi District, Hoa Binh Province. 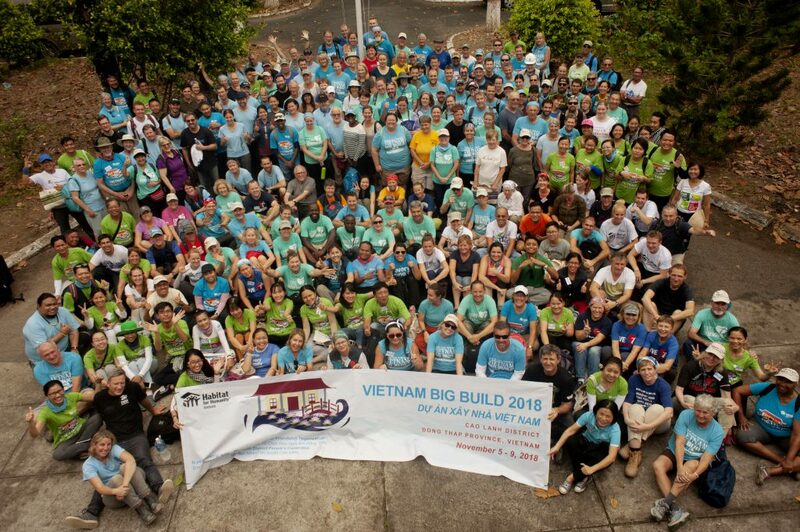 For 3 days joining the project, from 25/3-27/3/2019, the volunteers built homes alongside homeowners and conclude the event with a dedication ceremony to open the houses in the presence of key government officials, SGI CEO Mr. Sang-Teak Kim, Habitat for Humanity Vietnam (Habitat Vietnam) National Director Ms. Bells Regino-Borja. SGI leaders interact with children in secondary school. People are still living in the penury with monthly income below the national poverty line of 700,000 Vietnamese Dong (about US$30) per month and make ends meet through agriculture and other types of hired work. 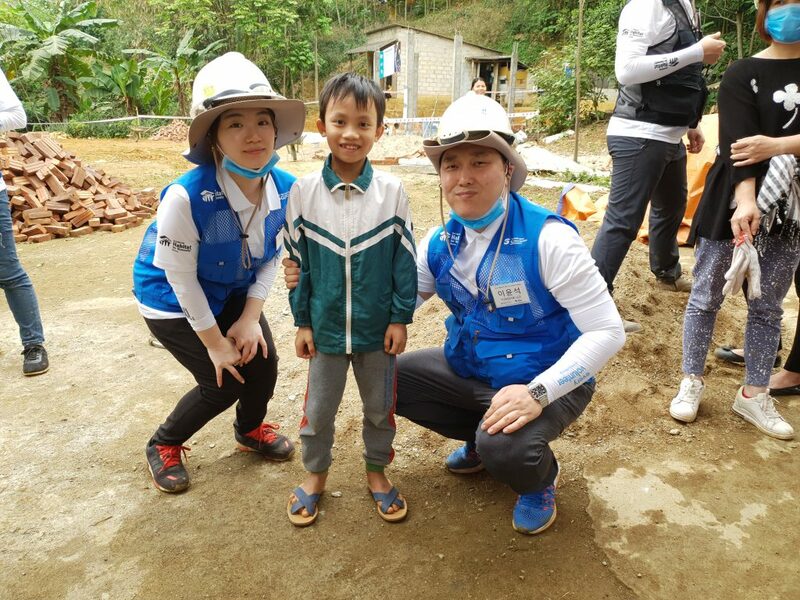 SGI committed to support Habitat Vietnam’s community project in Hoa Binh to help more families to have a decent place to live. 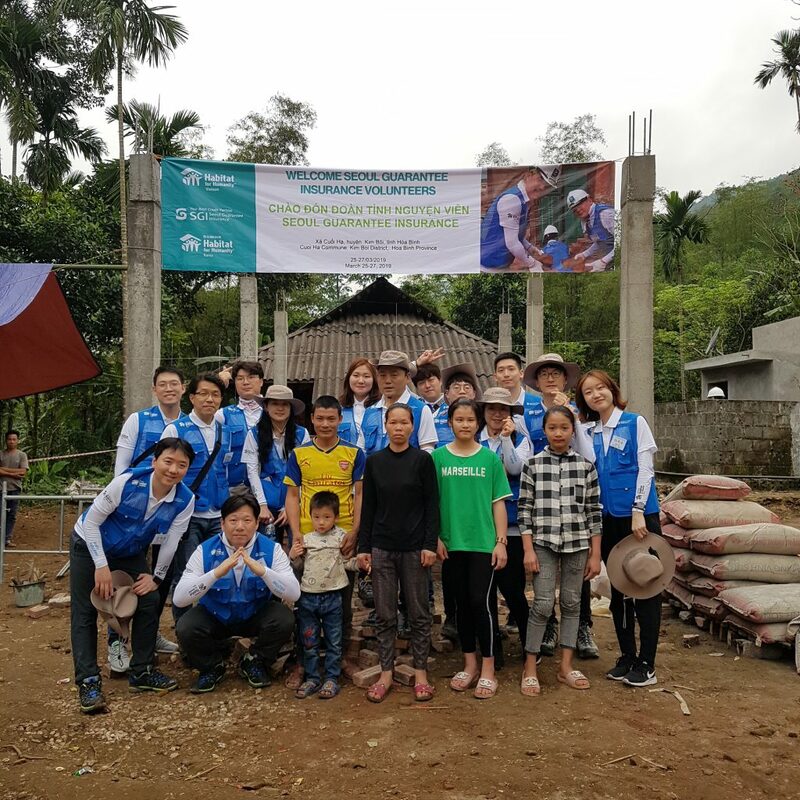 This build, as part of the project, will focus on completing 4 houses with the participation of Korean SGI volunteers and homeowners. The families, who receive the funding, are all living in substandard conditions where their shelters threaten their safety and security every day. In addition to securing families with decent houses, the wider community will have improved facilities. In total, this project will support directly 50 families with 8 new houses, 22 renovated houses, 20 WATSAN (water and sanitation) facilities. One secondary school with 450 teachers and children also will benefit from WATSAN facilities for better hygiene practice and one WASH (Water-Sanitation-Hygiene) campaign for raising awareness on these issues. Ke (34 years old), one of the project homeowners, shared: “The roof and wall of our stilt house are very weak and vulnerable, so when it rains it enters the house and water leaks from the roof. One day, the hail came and fell heavily, so it pierced the flimsy roof and consequentially, left a big hole adding to our expense for fixing. Fortunately, no one was injured because we were outside at that time”. 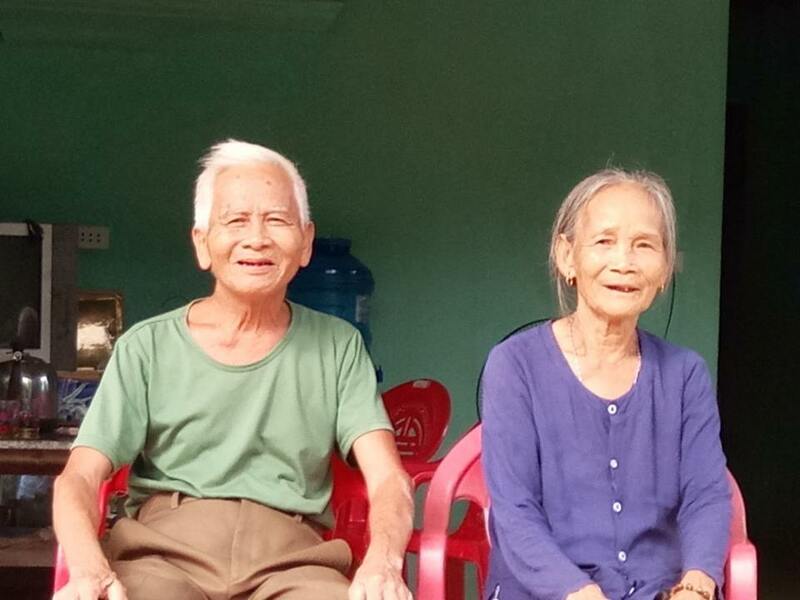 For Ke and his family, home depicts stability as his family can relieve from security threats and start improving household income. 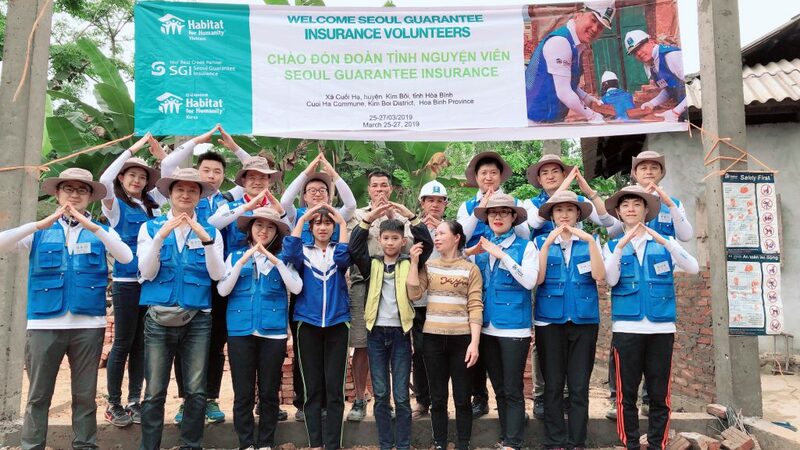 “Our partnership with different supporters like Seoul Guarantee Insurance deepens Habitat Vietnam’s purpose of building strength, stability, and self-reliance through shelter. 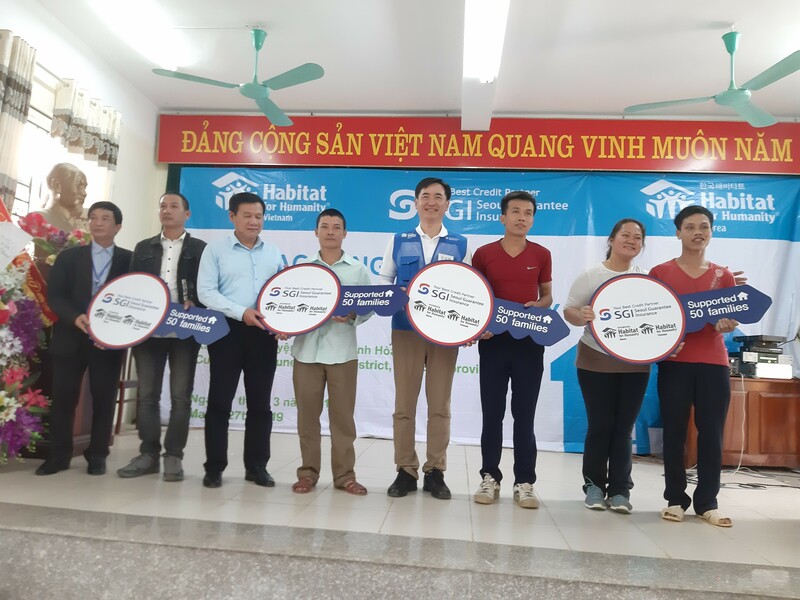 We are grateful to SGI for their support and for sharing with us the value of building sustainable communities through the provision of safe, affordable, quality housing as a catalyst for improved health, income generation, safety, and overall wellbeing,” National Director of Habitat Vietnam Ms. Bells Regino-Borja shared. Accordingly, over the years since 2017, SGI and Habitat Vietnam have partnered to implement the community development project. 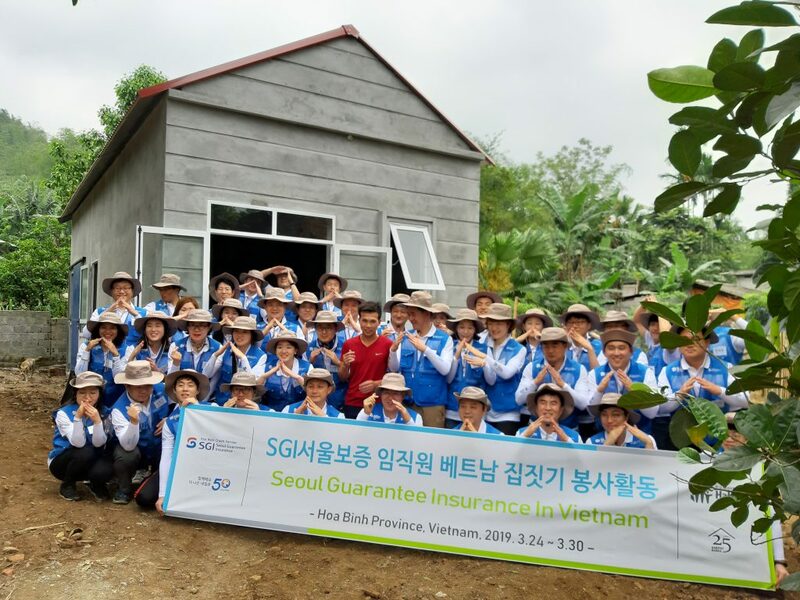 For the third year in a row, the partnership between SGI and Habitat Vietnam continues to help low-income households improve their degraded and substandard housing conditions to build strength, stability, and self-reliance through shelter. Habitat for Humanity International is driven by the vision of a world where everyone has a decent place to live. 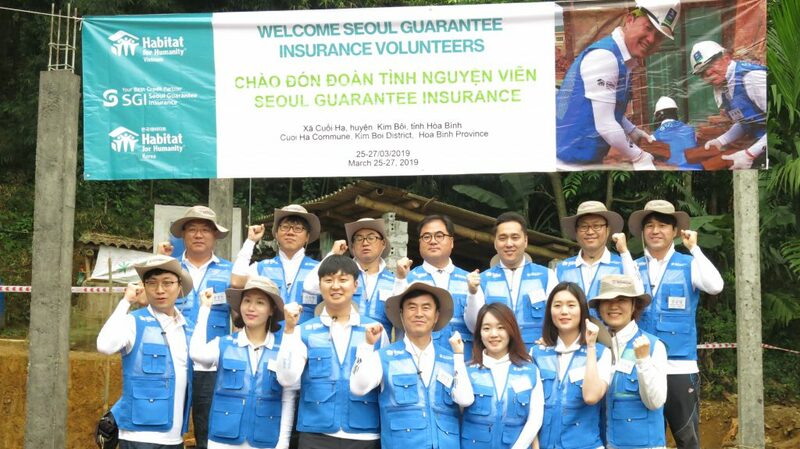 Inspired by the goodwill activities, Chief Executive Officer of SGI Mr. Sang-Teak Kim, shared: It is a pleasure to participate in this home building project for two consecutive years. We have a deep sense of attachment to Vietnam because we became the first foreign non-life insurer to operate a branch there. 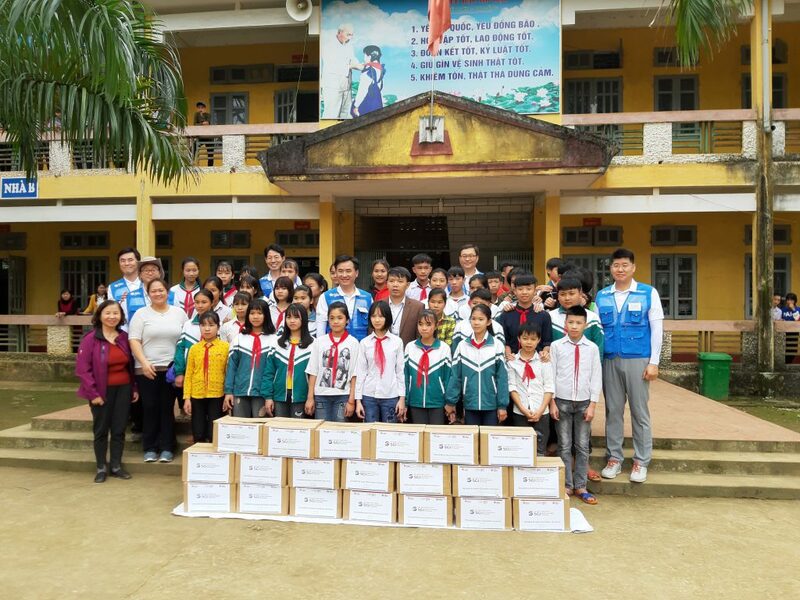 We will continue our volunteer activities for co-prosperity with the Vietnamese”. Water-Sanitation-Hygiene (WASSH) interventions by Habitat Vietnam include: 1. awareness raising about water, sanitation and hygiene; 2. Provision of easy accesss to clean water; 3. Building latrines and other water facilities (WATSAN); 4. Classification, collection and treatment of domestic waste. HABITAT’S LARGEST YOUTH MOVEMENT IS NOW ON BOARD!